Service Management Journey: Why is Problem Management Failing You? Why is Problem Management Failing You? I was recently looking in an online service management tool forum site and I saw a post entitled “Problem Management = Fail”. The caption obviously caught my eye and I looked to see the number of responses. There were 48, which isn’t a bad amount of feedback so I decided to see what the topic was about exactly as well as what people were commenting on. 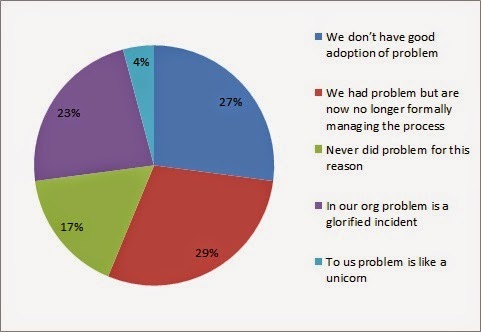 The person who posted this said that while the problem management functionality was easy to implement from the tool perspective that it was not producing the results that their company was looking for. The first response in the timeline of comments asked if they had a process in place or if they were simply looking to have to tool do the work (which is a question I too would ask). The person said “that a process was in place and that they weren’t really getting results before hand and were hoping that their old tool was contributing to the problem.” They went on to elaborate in saying that now they were getting more problems created but not improving the reduction of incidents which they thought might happen. While this categorization was simple it illustrates that many service management teams may be looking at problem in the wrong way. For me it is all about what your scope of problem management is and what its overall goal is. In short, improve the delivery of service through a reduction of incidents. Going back to the breakdown of the forum post 23% of the respondents said that they treat problems like incidents. This is a prime example of missing the scope discussion for problem management. If we are spending our problem efforts similar to incidents, we will likely just be following incident management process with the information being filled in a different record type. Keep problem efforts separate. 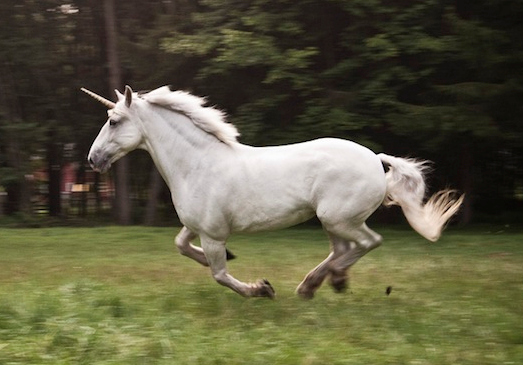 Problem does not need to be like a unicorn, although two people in that discussion would beg to differ. The reason that Problem sees issues in use or adoption, which encompassed the other concern points, is that we are not looking at the big picture. Here’s an example, a company has an application which has an issue once a week for several users which has an application hanging for five minutes. After that the application works again. Since no root cause was identified a problem was created and people look at this issue each week. While this might seem like a good candidate for a problem, to some it might not have the value as something else. Your organization might not even be concerned with issues like this and when we report on what we are accomplishing it might look like an anthill despite the impact to some users and incident stats. On the other hand you might have a more visible issue that needs to be addressed and when we review with leadership we can see the value more clearly. Having a balance to the issues under investigation is important to ensure a great customer experience.